Nobody could tell where the big shells came from, but sometimes they could tell where they would land. Doc Lyon was good at spotting them. Sometimes he could hear the thump as they were launched, then looked skyward for the wobbling monster coming through the air, usually from in front, sometimes from behind. Lyon had time to set up a few sticks, triangulate the likely impact zone, and at any “threatening sighting, I would say ‘go,’ and our corpsmen would then move and dig in again.” The lumbering shells worried him less than the randomness of death, as when a stray bullet killed the man beside him, drilling him neatly through the forehead. “It could have hit any of us, so silently and decisively it acts,” thought the surgeon, turning to his next patient before another thump set him looking skyward once again. A battalion aid station in the East Boat Basin. “I can hardly remember a day when those grotesque ashcans didn’t come at us,” remarked the operations officer, Major Irving Schechter. “It didn’t seem possible we could ever blast out all their mortars.” Battalion headquarters was determined to try. Lieutenant David Lownds, the intelligence officer, was summoned. When could the battalion commander expect to learn the location of the launch sites? Lownds was unsure, a terrible position for any intelligence officer. A handful of scouts were summoned and quickly briefed: PFC Ed Curylo recalled his instructions to “look for a six-foot mortar that the Japanese had.” They had only a vague idea of where to search, but even vague information was better than nothing. With the practiced professionalism of veterans, they gathered their gear and prepared their patrol. In the distance, there was another thump. The Boat Basin. Able Company was responsible for mopping up this area. 166J, referenced below, is the beach sector slightly left of center in this view. Instead, Perry would spend another day along the Boat Basin. Able Company and their attached engineers had more mines to remove, more pillboxes to knock out, more ground to cover. The demolitions teams had their method down to a science, and as their skills improved, Japanese resistance diminished. Sporadic rifle shots and knee mortars replaced the heavy Nambus and the accurate artillery. 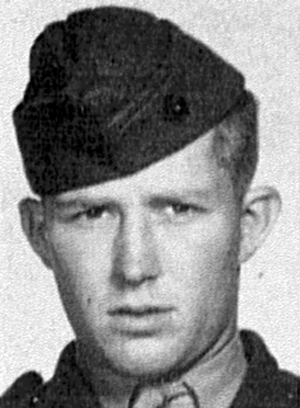 Still, Corporal Virgil McNutt went down with a wound, and PFC Andrew Loban died from a shell burst, before Company A dug in for the night in TA-166J. The tired Marines of Company B had a comparatively quiet day. They were In Reserve, and while that meant they could be called upon at a moment’s notice to cover any section of the line, it also meant that they could more comfortably shelter from the strong winds and cold rain that developed in the afternoon. Corporal Melvin Burzynski’s buddies welcomed him back to the line, while three veteran corporals trotted, limped, or were carried back to the aid station with wounds. Paul Bloor nearly lost a finger; Horace Burger, who abandoned the Army to become a Marine and fought on Tarawa and Tinian before joining Baker Company, was borne away with shrapnel wounds to his shoulder and hip; Thomas Underwood, whose grizzled face appeared on the cover of LIFE Magazine the previous year, was struck on the head and suffered a nasty contusion. Their losses would be felt keenly (only Underwood returned, and then only briefly) but it was still the quietest day Baker Company had experienced—and if the sounds coming from Charlie Company’s sector were any indication of the fight taking place, they were glad of the respite. A rifle company moves out in rough terrain, but can still count on tank support – for now. 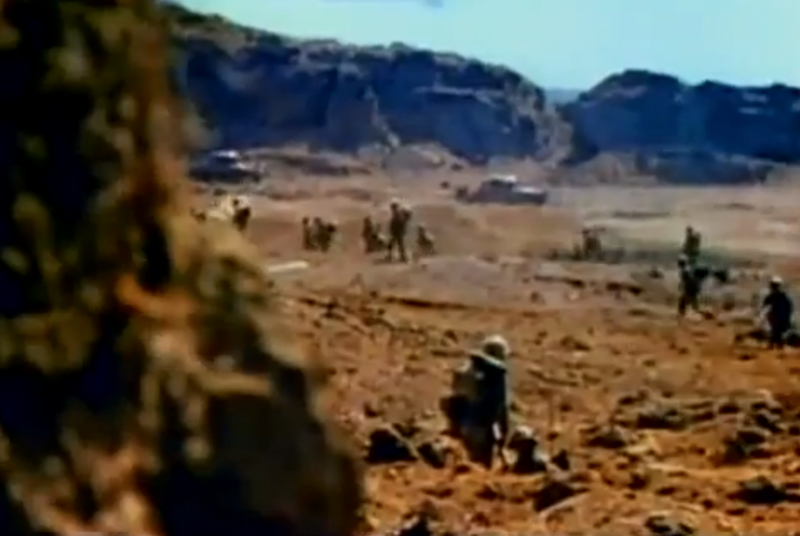 Still from USMC combat camera footage. It seemed that the only ones scoring direct hits were the Japanese. 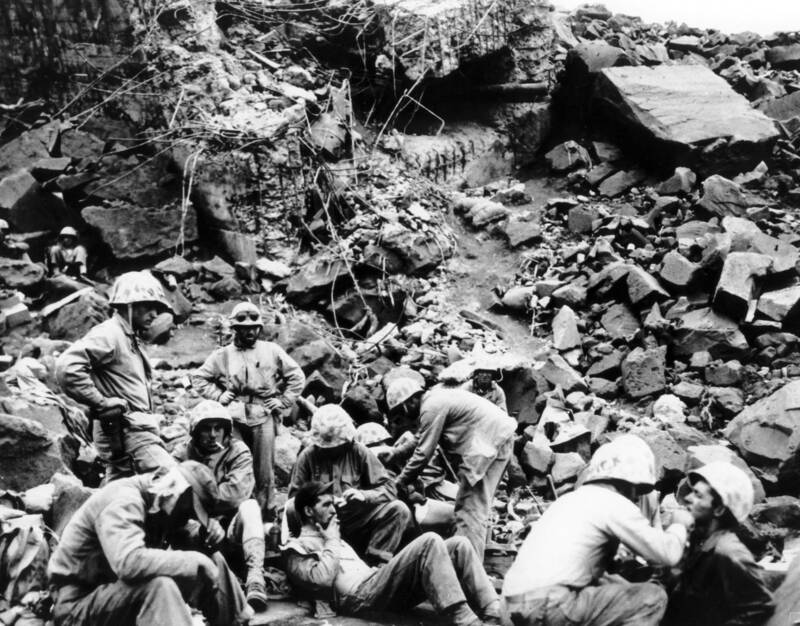 A handful of men went down during the 200-yard advance through “harassing small arms and knee mortar fire.” Some were hurt seriously, others reappeared after just a few hours, their fresh white bandages making a stark contrast with the volcanic ash embedded in their skin. A forward observer party from Lieutenant Murray Fox’s mortar platoon scurried forward to provide Charlie Company with some much-needed fire support. Their leader was massive Lieutenant Steve Opalenik, a former champion wrestler. His professional nickname, “Steve Brody,” was appropriate, for Opalenik was a natural risk-taker with an utter disregard for danger. Early on in his Marine career, he played his “Brody” role to the hilt, bragging to his buddies about how he’d personally teach Japan’s best jiu-jitsu experts how an American “rassler” could fight, staging imaginary fights, and loudly proclaiming how badly he wanted to “get a ‘holt’” of one.” His bluster developed into genuine bravery when he saved a buddy’s life on Namur; for repeating the feat on Saipan, he was rewarded with a field commission. Gone was the bombastic “heel” Brody; in his place was the hard-fighting and highly respected Second Lieutenant Opalenik. 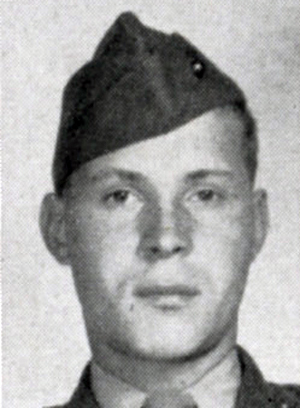 Second Lieutenant Charles R. Anderson’s machine gunners were taking a pasting from the Japanese mortars. The athletic “Scooter” Anderson had certainly heard of “Steve Brody” before the war—his “rassling” matches were wildly popular in Anderson’s native Nebraska — and now here he was, literally fighting beside the famous sportsman. As Opalenik spotted targets, he was spotted in turn. A Japanese observer beat the wrestling champ to the punch. “A cluster of Jap mortar shells dropped in among us,” Anderson later told a correspondent. “Steve immediately started directing his men to take cover. While he was standing out in the open, some more mortars hit our area. That burst seemed to shell-shock Steve momentarily. A third group came sailing over and hit him – he was just heading for cover after seeing that his men were all right.” Two tiny pieces of shrapnel tore into the giant man’s head and heart, killing him instantly. The Japanese had the range, and dropped a fierce concentration on Charlie Company’s exposed position. 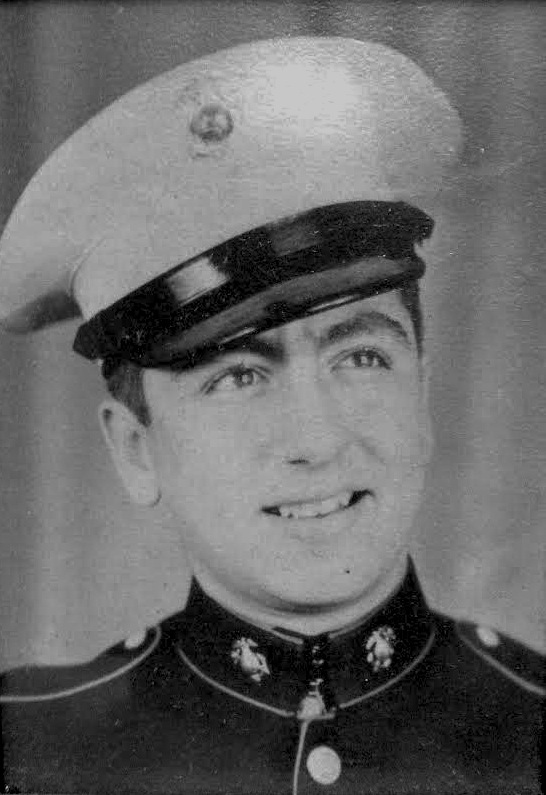 The executive officer, First Lieutenant William E. Reynolds, was riddled with shrapnel; he would spend the next fifteen months in Navy hospitals, but ultimately survived.. Less fortunate was Private Robert J. St. Pierre, late of the Bronx, who died before he could dive for cover. For now, “doing something” meant getting out of the way of those damnable mortars, and Mervosh tumbled into a large shell hole with five other Marines. Corporal Robert DeNunzio was there, crouched next to PFC Louis Naccarato, one of the division’s champion boxers. PFC John Hasara, already wounded once, was trying to keep dirt out of his bandages, and PFC Mike Cusimano kept poking his head over the edge of the hole. 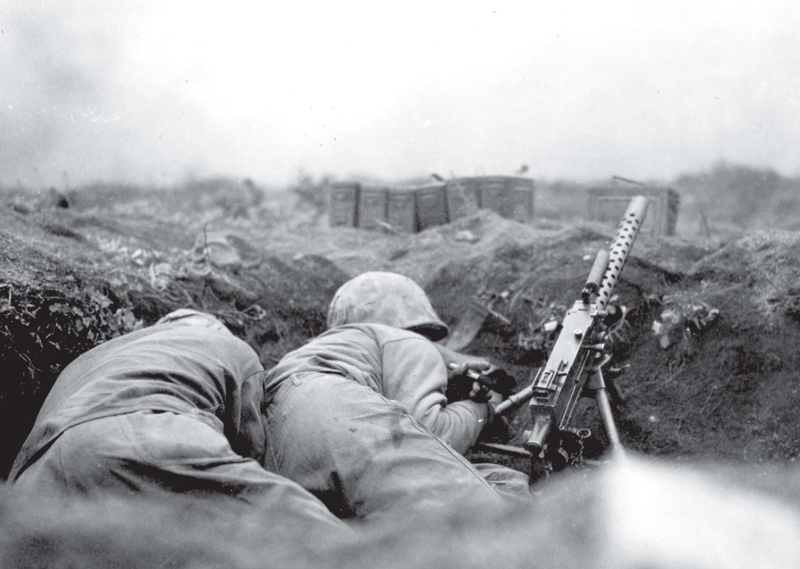 Machine gunners take cover as mortar shells explode around them. If Cusimano replied, Mervosh didn’t hear. There was the telltale whisper of a mortar shell, and then everything went blank. I don’t know how long I was out, hours, minutes. I heard bells ringing and I heard angels singing. I thought I was dead, but I opened my eyes… and I’m alive. And as soon as I opened my eyes I see this Marine right in front of me. DeNunzio. He’s got a big gash in the back of his head, and just on instinct I ripped open his first aid packet and grabbed the sulfa powder, put it on the wound and bandaged him. We knew elementary first aid – stop the bleeding, protect the wound, prevent shock – that much we knew. After the blast, I couldn’t hear anything. I picked up old DeNunzio, got him back a couple of hundred yards, and that’s when corpsmen picked him up with stretchers and evacuated him…. Everyone in that shell hole was a casualty except for me. All I did was lose my hearing. And a little sliver caught me on the eyelid. If I had my eye open, I would have lost the eyes. But that was nothing. That’s not Purple Heart crap, you know? Mike Cusimano hesitated a second too long. The force of the explosion blew him apart. DeNunzio, Harasa, Naccarato and one other man were helped from the hole and bundled off to the aid station, joining a growing number of men awaiting evacuation. One young Marine had to be led by the hand; he looked fine, but was unable to see. Surgeons aboard the USS Hendry classed him as a special case of combat fatigue — hysterical blindness. At the end of the day, the company could claim a gain of 200 yards. They suffered at least 21 casualties; some, like Mervosh, did not seek treatment and thus bled and suffered off the record — and in the grim arithmetic of Iwo Jima, one man for every ten yards gained was considered a substantial advance. Curylo, a former Baker Company man, spotted familiar faces up on the ridge. “All my buddies were up on the rocks, so I said ‘well, I’ll go up and see them guys,’” he recalled. “I got up there, we started talking, and then everybody hit the deck except me. A shell hit maybe three or four feet away. I went up in the air, I don’t know how far, but when I came back down I was paralyzed. The only thing that moved was my right arm and my head. I could get my body up a little bit, but everything else was dead.” Corpsmen and stretcher bearers rushed over to the stricken Marine — Curylo was lucky to be alive, luckier still to be close to the aid station — and hurried him back to Doc Porter. Stretcher bearers take cover while hustling a badly wounded man to the rear. The roads connecting the front lines to the beach had been improved during the day, and for the first time jeeps were available to transport 1/24’s wounded to medical facilities at the beach. Until D+3, only a fortunate or desperate few got a ride to safety—if an LVT happened to pass by, the crews would usually take a wounded Marine aboard—but most of the wounded had to be hand-carried back to the beach. The rainy afternoon was threatening to storm, and high winds drove the surf too high for boats to land, leaving hundreds of wounded men waiting patiently for a ride. 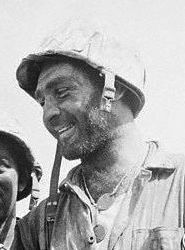 Ed Curylo’s last night on Iwo Jima was spent on the beach, senses dulled by morphine and pain, listening to the roaring surf, the grinding of engines, the groans of the wounded. And the occasional thump as somewhere, out in the darkness, a Japanese soldier fired another mortar. 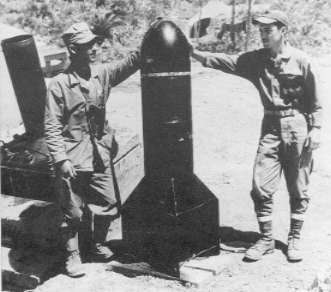 A single Type 98 “spigot mortar” shell weighed 675 pounds. This one was captured on Iwo Jima. PFC Daniel J. Collins, Jr.
PFC William T. Smith, Jr.
 Richards P. Lyon. Personal correspondence with the author. Compiled online. The name of the unlucky man is not known. Irving Schechter, “The Lawyer Who Went to War,” Semper Fi, Mac, ed. Henry Berry (New York: Harper, 1982), 224. Edward Curylo, oral history interview conducted by Brian Louwers, Veteran’s Oral History Project, December 4, 2013. Alva Perry, “The Men Of ‘A’ Company,” 2011. In fact, the mortar’s intended effect was more psychological than physically damaging. Steve Brodie (1863 – 1901) earned pop culture notoriety for reportedly being the first man to jump off the Brooklyn Bridge. To “do a Brodie” meant to take a potentially suicidal chance. 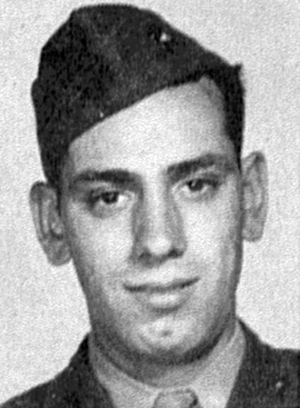 Bob Considine, “Steve Brody, Rassler, Hero in Namur Fight,” San Antonio Light, San Antonio, Texas (12 April, 1944), 15. This breathless bit of reporting may well have been exaggerated for readers at home, who were more accustomed to seeing Brody’s name in the sporting section. “Wrestler ‘Steve Brodie’ Killed Fighting On Iwo,” Marine Corps Chevron, vol. 4, no. 12 (31 March 1945), 9. By the time this issue was printed, Lieutenant Anderson was also dead. [9.1] “Sgt. Maj. Mike Mervosh, USMC (Ret. )” in Gail Chatfield, By Dammit, We’re Marines! (San Diego: Methvin, 2008), 70-71. Mervosh is listed on the battalion muster rolls as “wounded, not evacuated” on March 3; there is no mention of his adventure on February 22. However, Mervosh insists that he was “at the Quarry” when tagged by the corpsman. His view of the beach corroborates this statement, as does the amount of Japanese fire hitting the landing craft. Finally, there is no debating the date of Cusimano’s death. Mr. Burzynski – I’m afraid I don’t know exactly why your father was hospitalized on Iwo Jima. The battalion muster roll I use for a source says only that he was “sick and evacuated” on February 21, 1945, returned to duty February 22, then was again “sick and evacuated” on the 23rd, returning to duty on the 26th. After that, he is present for the rest of the campaign. I’ve seen “sick and evacuated” applied to everything from running a fever to a complete mental breakdown. If I had to guess, I would suggest that it might have been a mild case of “combat fatigue,” which was fairly common in all units on Iwo Jima, particularly in the first few days. But that’s only a guess. The National Archives is no longer releasing veterans’ medical records to third party researchers, but you might be able to get them as you would be considered Cpl. Burzynski’s next of kin. I’d suggest filling out an SF-180 form and sending in the request to the Archives. Even if they don’t release the medical record, you’ll still get everything else in your father’s official USMC file – I’ve gotten a bunch of them for this project, and they’re really fascinating. THANK YOU SO VERY MUCH FOR DEVOTING YOUR TIME TO THIS PAGE! It opened the door to a part of my family that wasn’t talked about. THANK YOU !! !